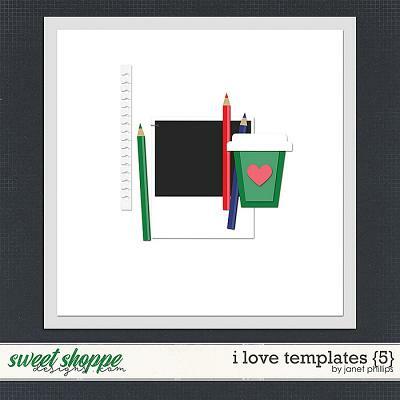 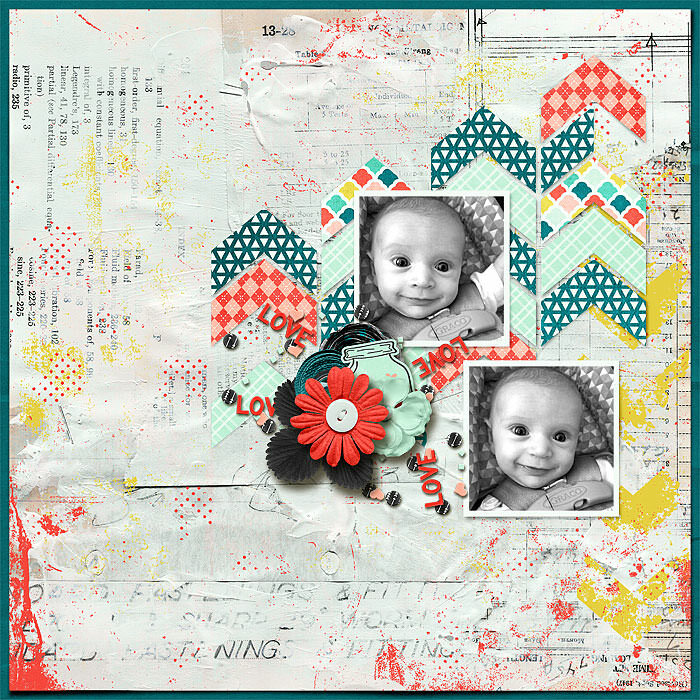 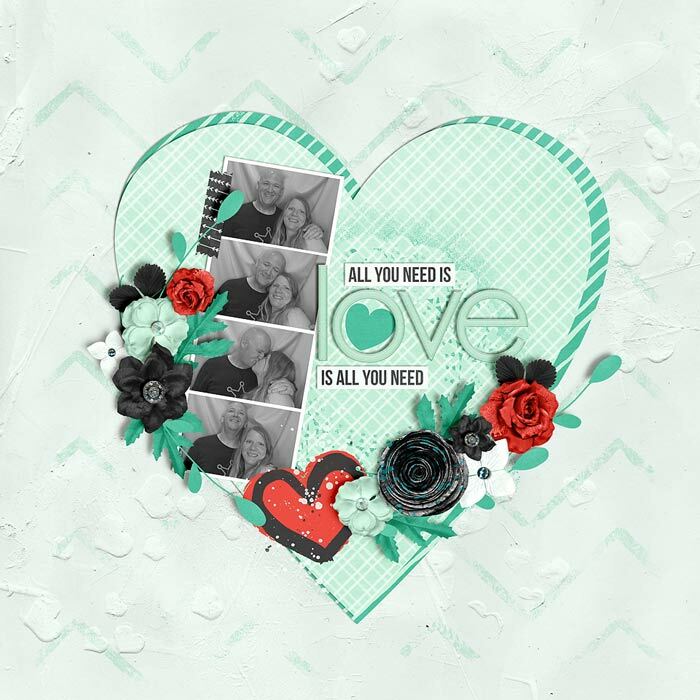 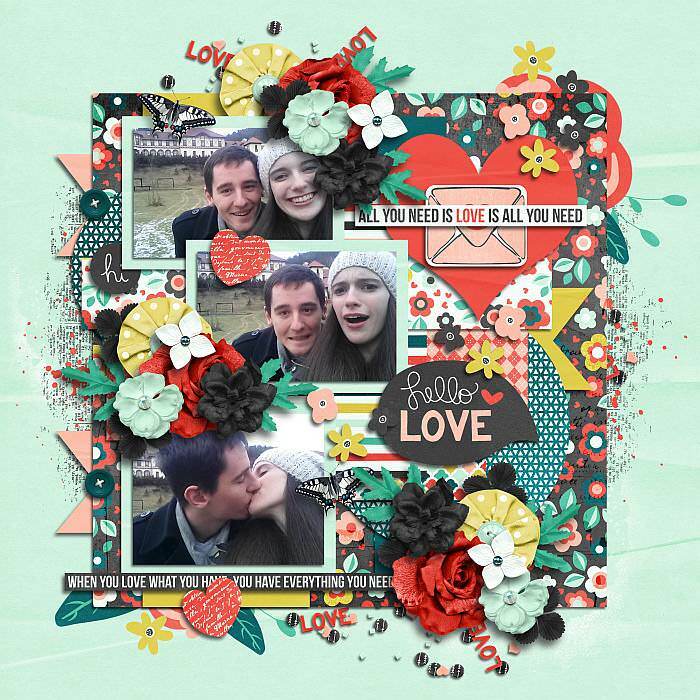 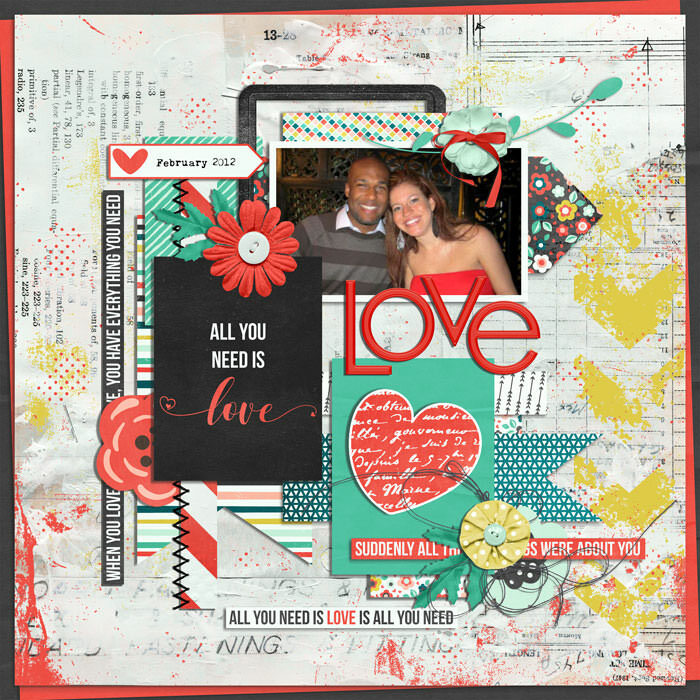 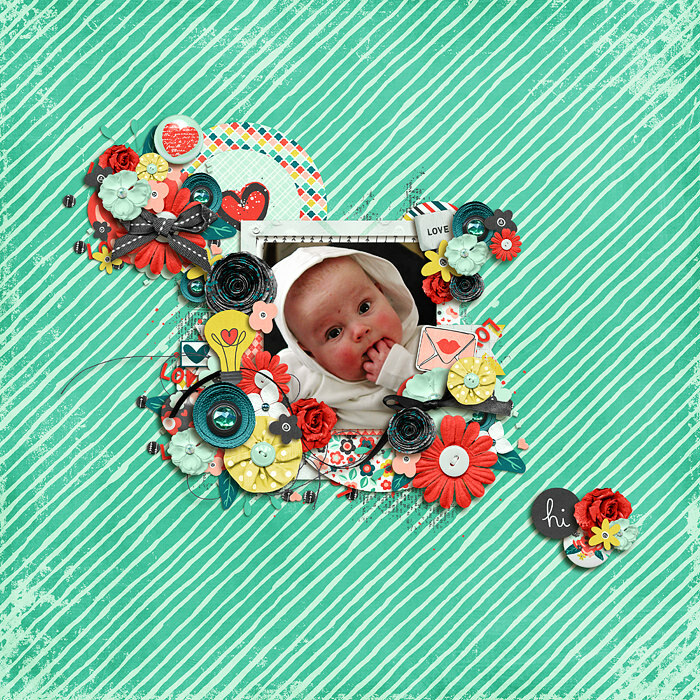 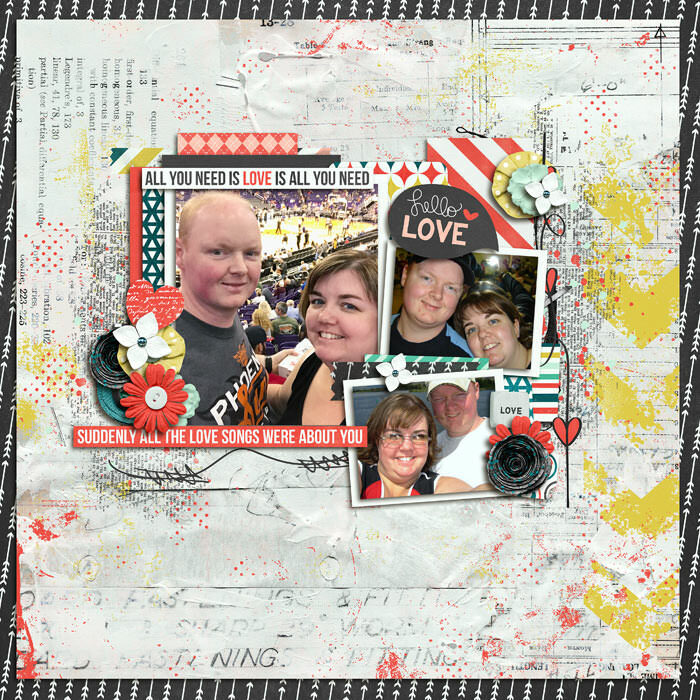 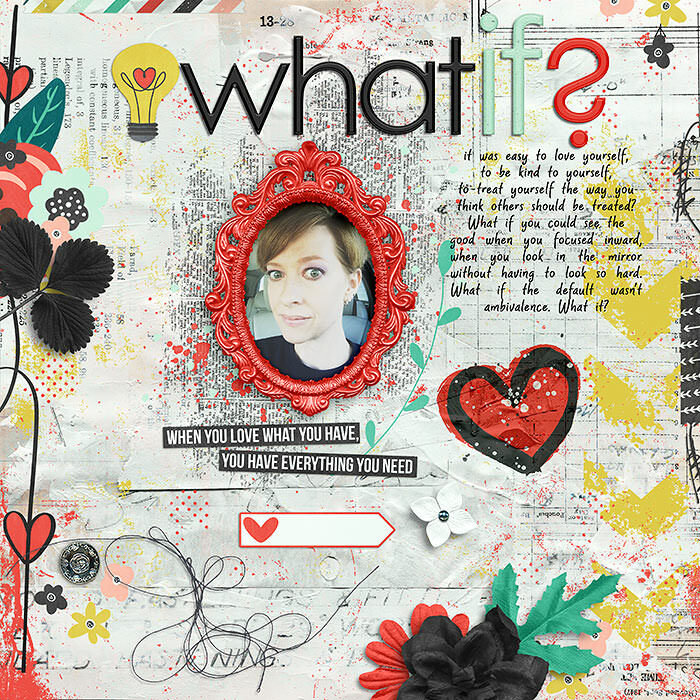 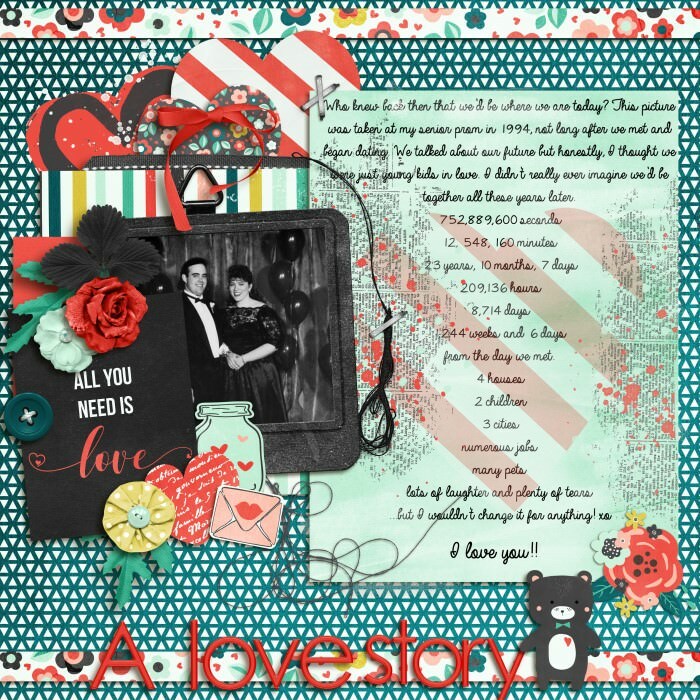 A digital scrapbook kit by River~Rose Designs, All You Need is Love, is all about the loves in your life. 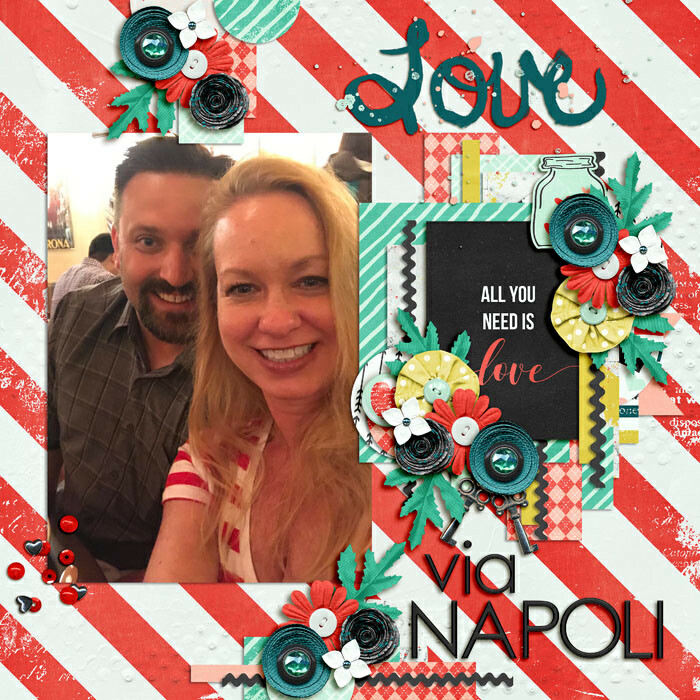 From people to coffee and everything in between. 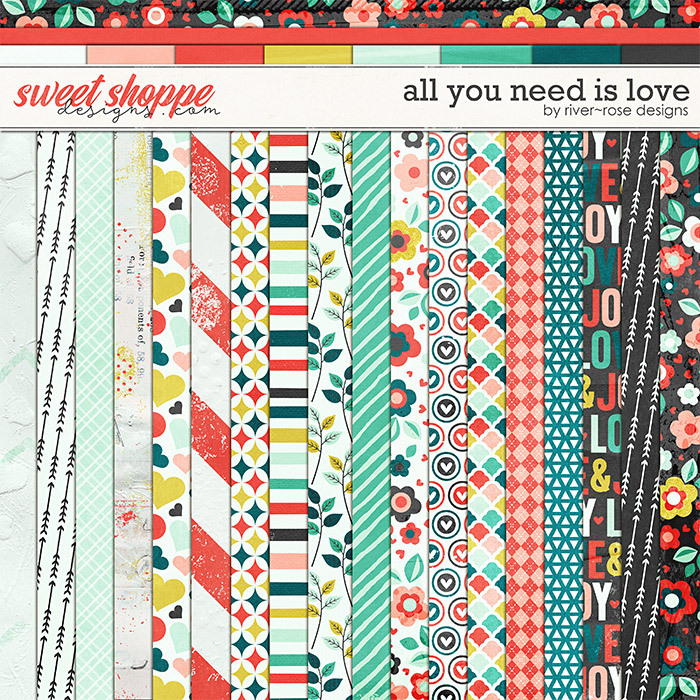 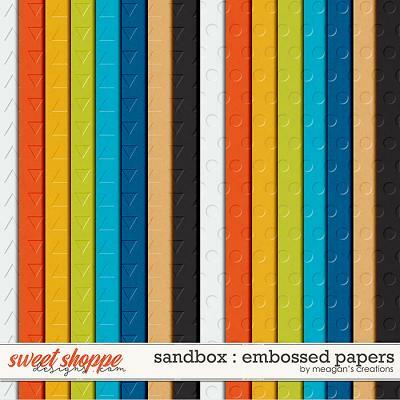 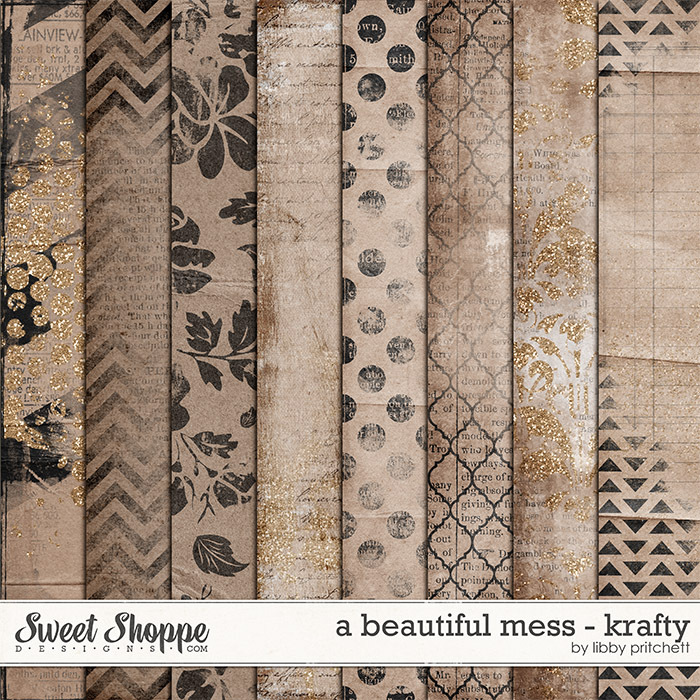 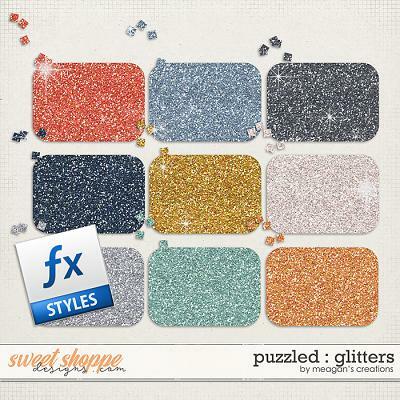 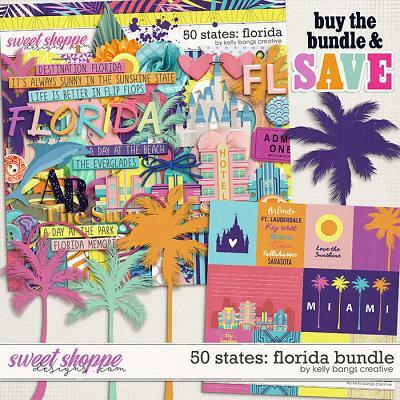 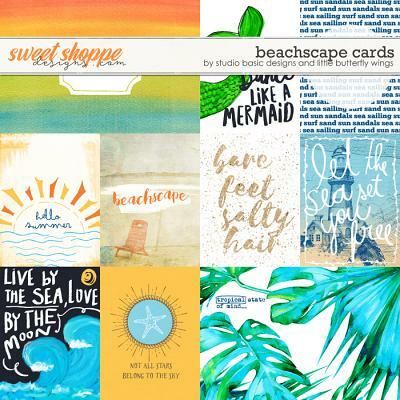 Included in the kit are 26 backgrounds (18 patterns & 8 solids), an alpha in 4 different colors (black, red, green & peach) and 77 embellishments including flowers & foliage, frames, paint, word art and unique hand drawn elements.